The last single before the release of ｢JPN｣, which sadly won’t have many new songs on it at all. But until the 30th, we can bask in the excellence of this single. ｢スパイス (Spice)｣ is everything that we love from Perfume, and it’s another release to add to their long-running streak of amazing singles. Seriously, this era has been stellar. I cannot wait to hear those new album songs. And let’s talk about covers again. This has to be my favorite Perfume cover yet. 1 2 3 4 5 6 7 8 9 10 11 onto the review! It opens up with computer-sounding blips like pinballs, and then it continues into this epic vocal buildup which all leads into the amazing chorus. This song is out-of-this-world good from start to finish. The music video is visually and conceptually beautiful, and you know that’s probably the best word to describe this song. As techno-pop goes, this song is beautiful. The solos at the end are lighter on the auto-tune (but it’s still apparent), and it’s really nice to hear the girls’ voices more naturally. Honestly, this may be the best A-side released this era. What a way to finish it up. 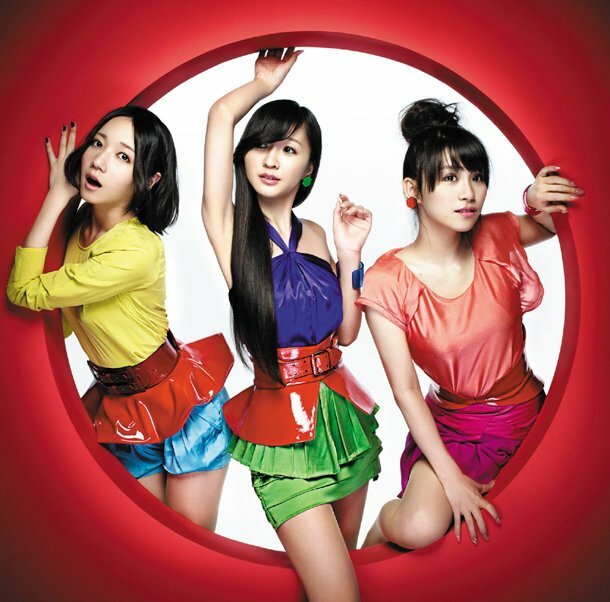 The nice thing about Perfume is that even though their singles only contain two songs, both are always damn good. “GLITTER” sounds really cool, and it feels a bit like a more intense, more vocally oriented “Speed of Sound”. The verses through me off guard at first, sounding a bit weird after the light-sounding intro and the girls singing in a bit of a deeper pitch in the verses, but they work quite well in contrast with the chorus. That chorus is really cool. The whole song is danceable, smooth, its just the best of Perfume. Although I like the A-side a lot more, “GLITTER” ranks as one of their best B-sides. This entry was posted in Perfume, Reviews and tagged Perfume. Bookmark the permalink.